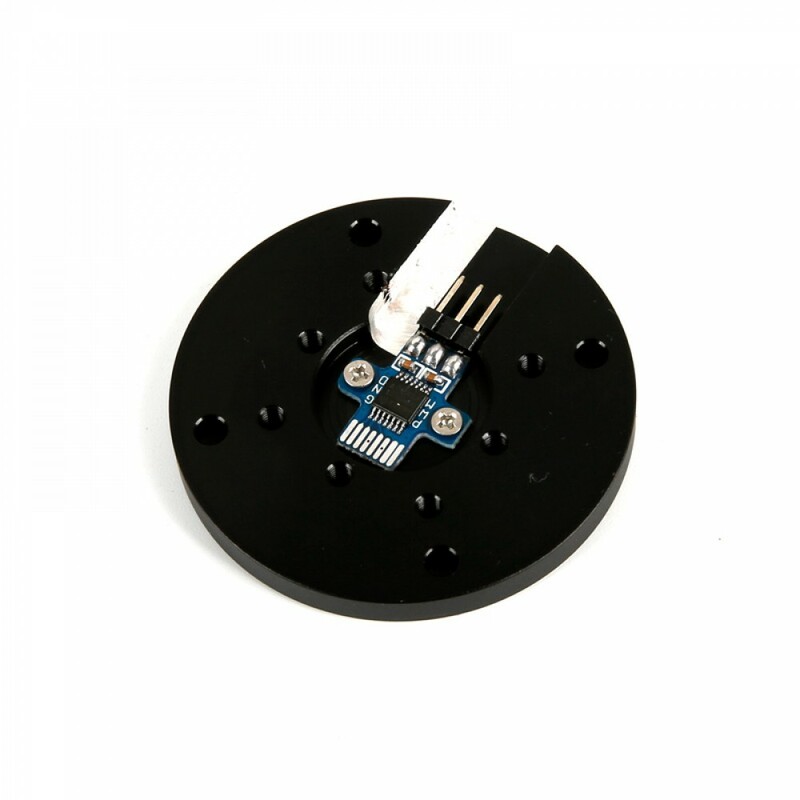 The AS5048 is an easy to use 360° angle position sensor with a 14-bit high-resolution output. The maximum system accuracy is 0.05° assuming linearization and averaging is done by the external microcontroller. The IC measures the absolute position of the magnet’s rotation angle and consists of Hall sensors, the analog-digital converter, and digital signal processing. The zero position can be programmed via SPI or IC command. Therefore no programmer is needed anymore. This simplifies the assembly of the complete system because the zero position of the magnet does not need to be mechanically aligned. This helps developers to shorten their developing time. The sensor tolerates misalignment, air gap variations, temperature variations and as well external magnetic fields. This robustness and wide temperature range (-40°C up to +150°C) of the AS5048 makes the IC ideal for rotation angle sensing in harsh industrial and medical environments. Several AS5048 ICs can be connected in the daisy chain for serial data read out. The absolute position information of the magnet is directly accessible over a PWM output and can be read out over a standard SPI or a high-speed IC interface. Version AS5048A comes with SPI and PWM Interface. Version AS5048B is configured with the IC interface and has also a PWM output. An internal voltage regulator allows the AS5048 to operate at either 3.3 V or 5 V supplies. 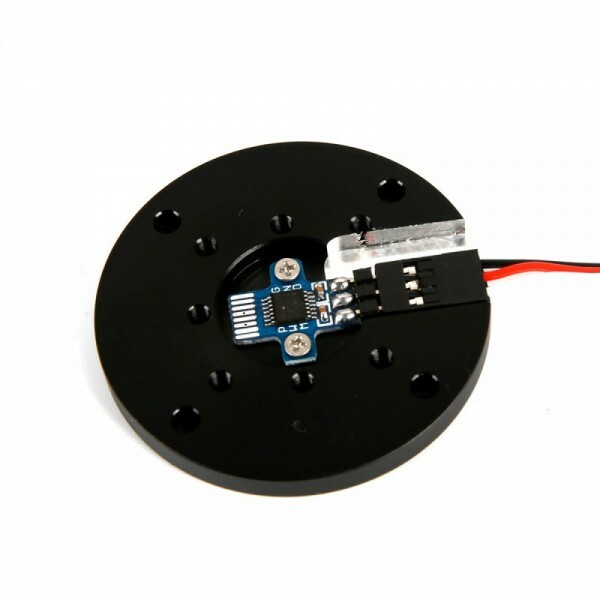 It is special designed for iPower Motor GBM5208 GBM6208 GBM6212 GBM8017 GBM8028 GBM8108 GBM110 Motor,Please note that there should be screw holes on the gimbal motor to fit the metal mounting plate, otherwise you'll need to DIY to mount.The dimension of the aluminum alloy part is shown below. Weiterführende Links zu "AS5048A Magnetic Encoder"
Kundenbewertungen für "AS5048A Magnetic Encoder"